Beyonce says girls run the world. And when Beyonce says something I don’t ask questions I just assume she’s right. 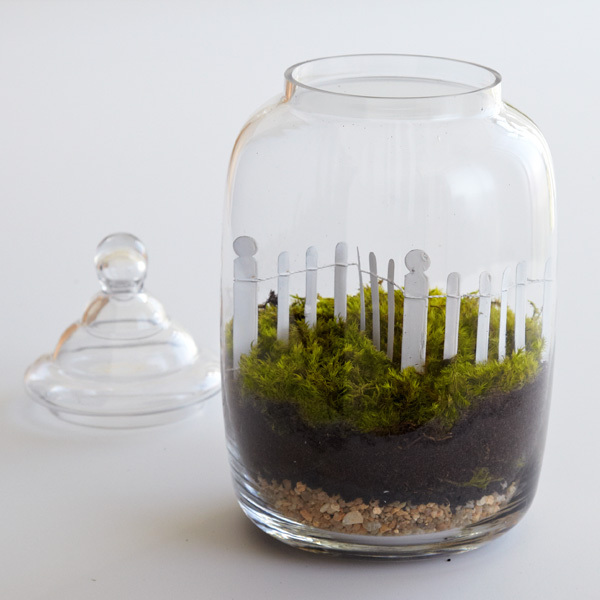 In this instance, I’m pretty sure when she said world she was thinking terrarium. After all, it’s a mini world that you have complete control over. 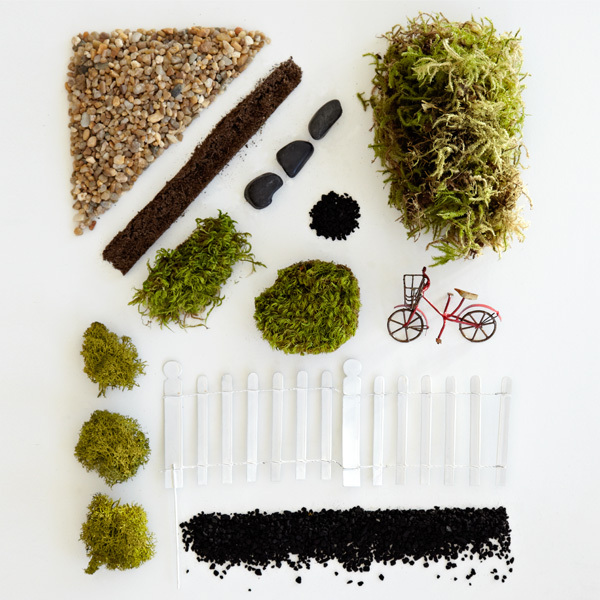 Our terrarium comes with everything you need to get your mini world up and running. And don’t be shy about making it your own with fun additions – like mini gnomes or drink umbrellas. Place mood moss in a bowl and soak for three minutes. Remove pebbles from bag and rinse. 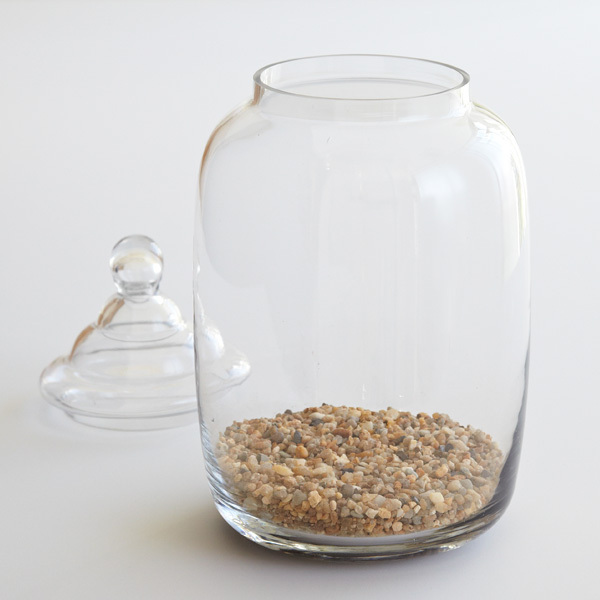 Pour pebbles into glass apothecary jar. Add charcoal. Then briefly soak the dried sphagnum moss and squeeze dry. Layer on top of charcoal. Use ruler to push the sphagnum moss into place. Add peat moss layer. Customize the landscape as you wish – create rolling hills or keep it flat. Let’s customize. Lower the fence into the jar. Blot excess water from soaked mood moss and add. Start at the base of the fence and work out from there. 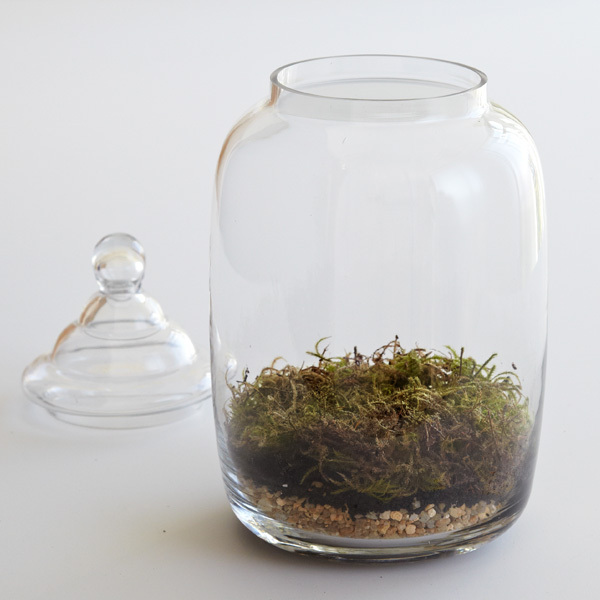 Place the bicycle, reindeer moss (small bushes) and larger rocks into the jar. That’s it. Give your finished landscape a few mists of water and put the lid on it. Mist every two to four weeks and place in bright but indirect light. 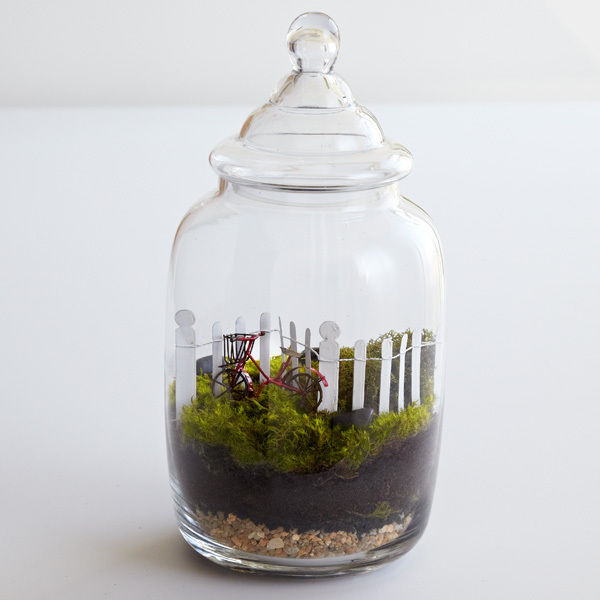 Next time you find yourself wondering who really runs the world, you’ll look at your terrarium and nod – it’s you. 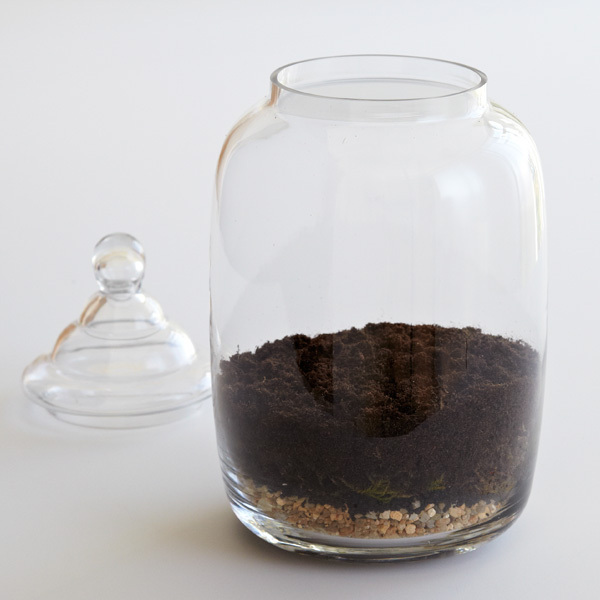 Our featured terrarium can be found here.